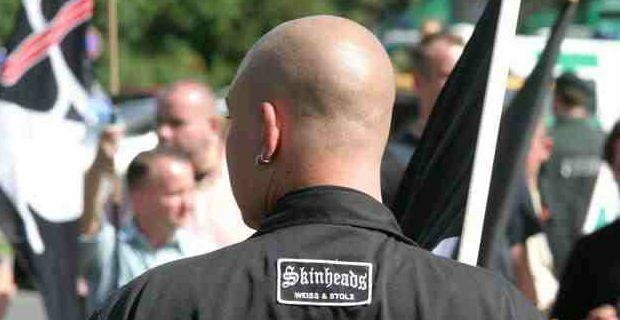 German police have developed a smartphone app that allows them to identify rock songs withneo-Nazi or racist lyrics. Neo-Nazi music is a hot topic in Germany at the moment. It appears that, as extremists groups proliferate, kids are more likely to get drawn in when there are music, bands and gigs involved. No country is happy about neo-Nazi youth, but the issue is specially touchy for the country that has experienced real Nazism and its profound darkness. It is not a case that the German constitution prohibits Nazi glorification of all sort. And this includes, of course, songs and lyrics with ouvert racist and right-wing extremist views. German government has recently acknowledged the fact that Nazi music aids the recruitment of young people into extremist groups. According to newspaper Der Spiegel, last year the 'Federal Review Board for Media Harmful to Minors' identified and banned 79 pieces of music it considers to have racist lyrics or that promotes neo-Nazi ideology. In a bid to introduce new means to tackle the problem, the regional police office in Saxony has developed a smartphone app dubbed "Nazi Shazam", in reference to the popular music-identification app. Nazi Shazam is able to recognise the "audio fingerprints" of neo-Nazi rock music from just a short clip. The app could help authorities to identify right-wing extremist music being played on internet radio stations or at gatherings and rallies. According to Der Spiegel ministers are set to meet this week to discuss implementation of app, but in practical term it may be a lengthy process, with a risk of its outcome being negative. Indeed, there are questions about whether such a system could be widely implemented. The sort of automatic identification of music being played in a public place that the app is capable of, in fact, could be considered to be audio surveillance. In legal terms, this is not possible under current German law.